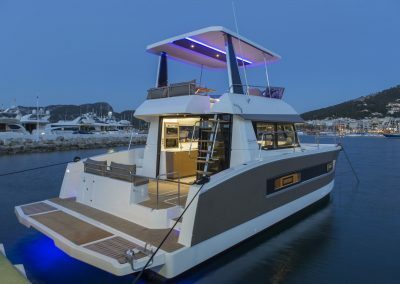 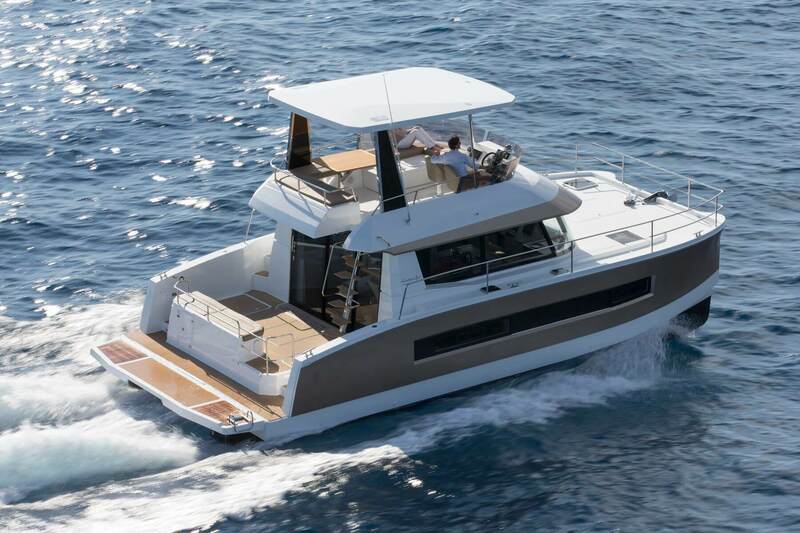 The MY37 replaces the successful Highland 35 and is set to revolutionise the entry-level segment of the world’s power catamaran market with its impressive features, performance and value for money. 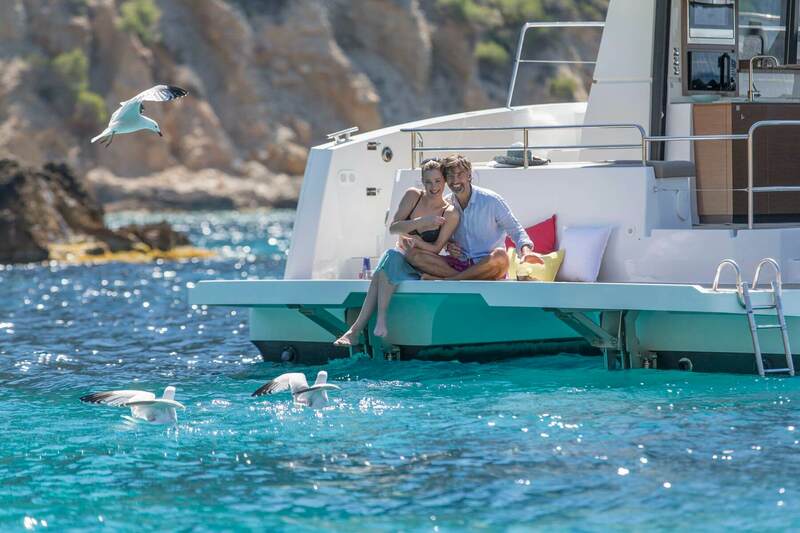 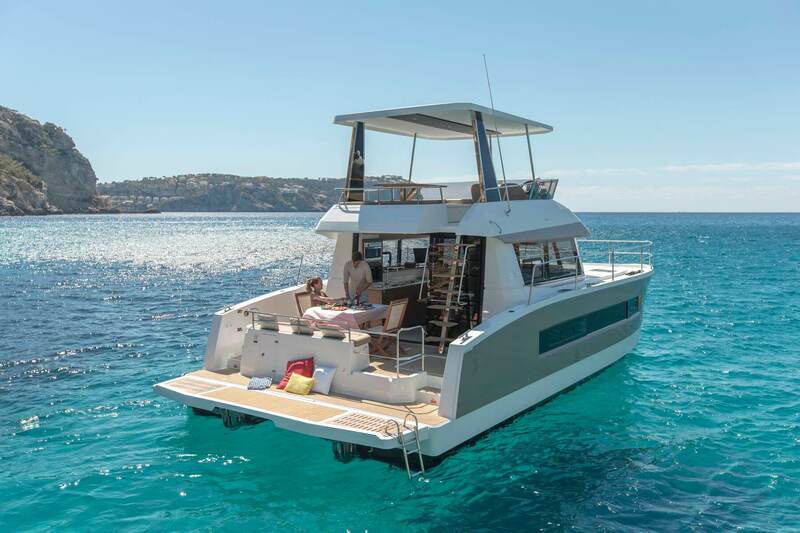 The Fountaine Pajot Motor Yachts team has meticulously designed a spectacular multihull that will be lauded for its superior comfort, outstanding views and beautiful luminosity. 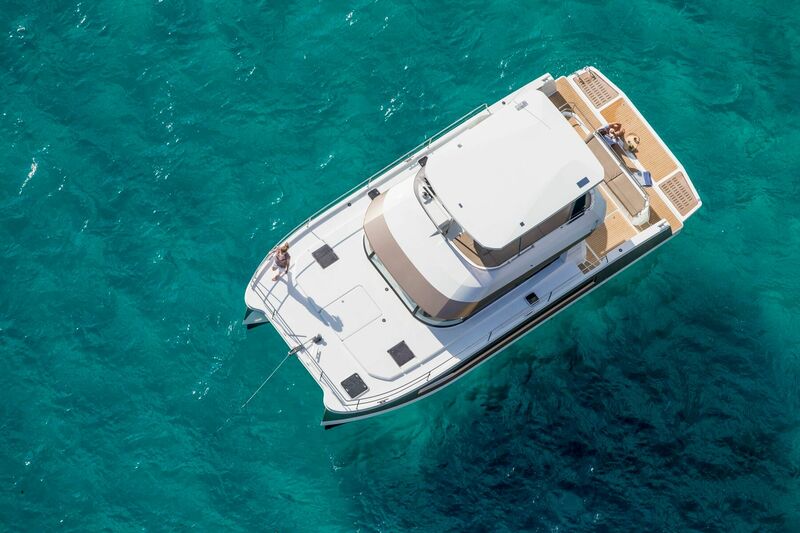 The MY37 also possesses the key attributes of the shipyard’s range, including excellent offshore performance, stability, volume, and impressive range that make the boat extremely economical. 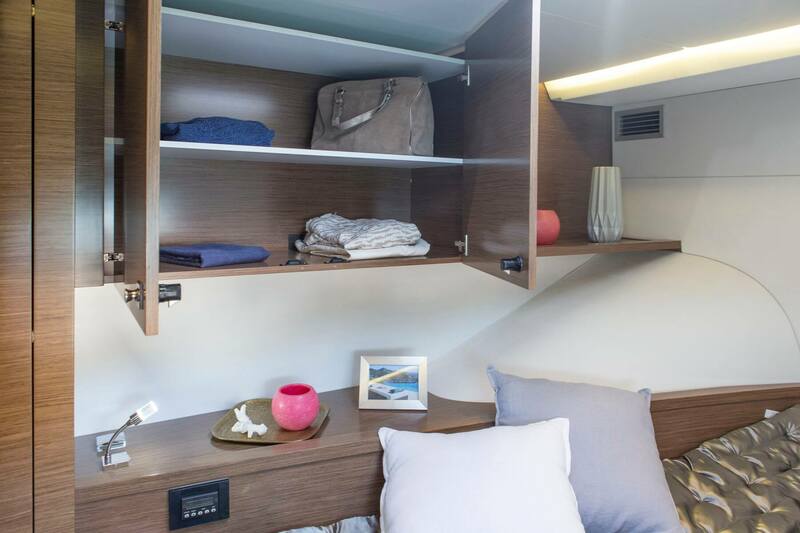 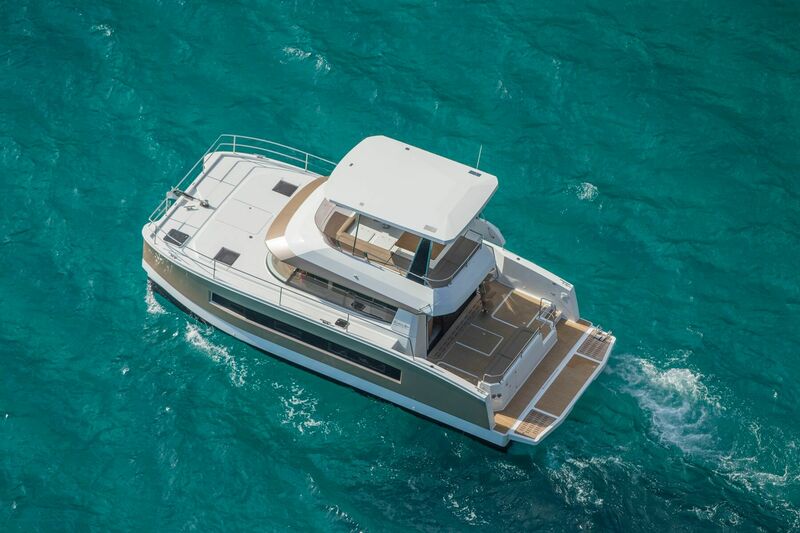 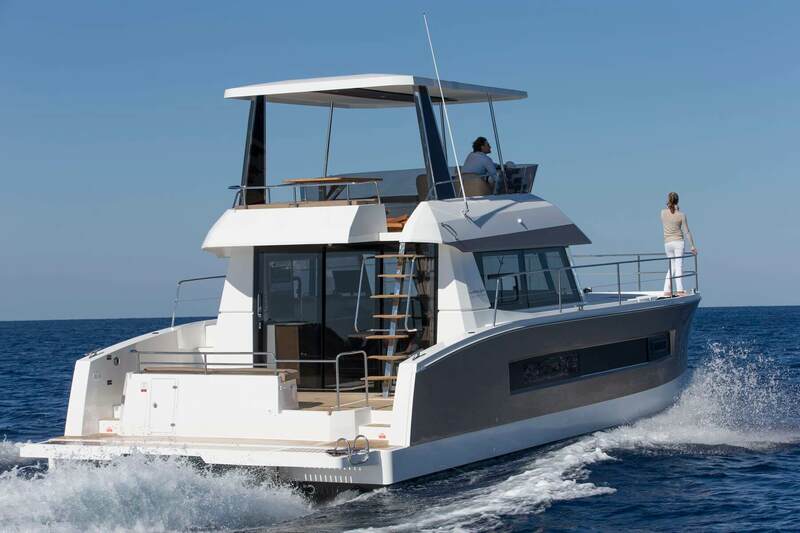 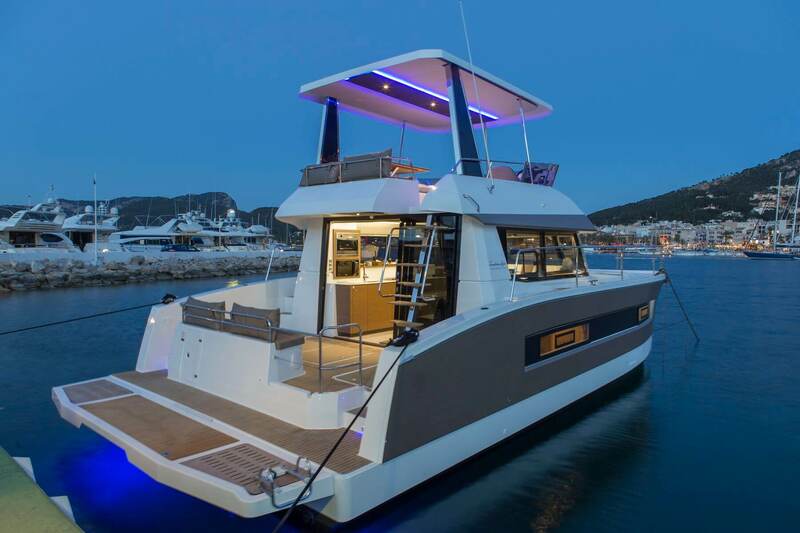 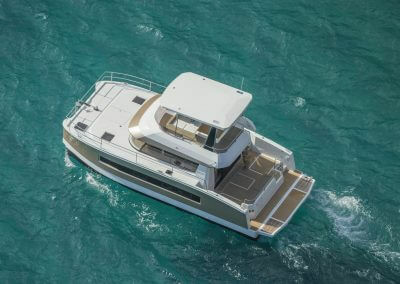 Unlike most power catamarans of its size, the MY37 is available in a three and a four-cabin layout making it ideal for both personal cruising use and commercial charter companies. 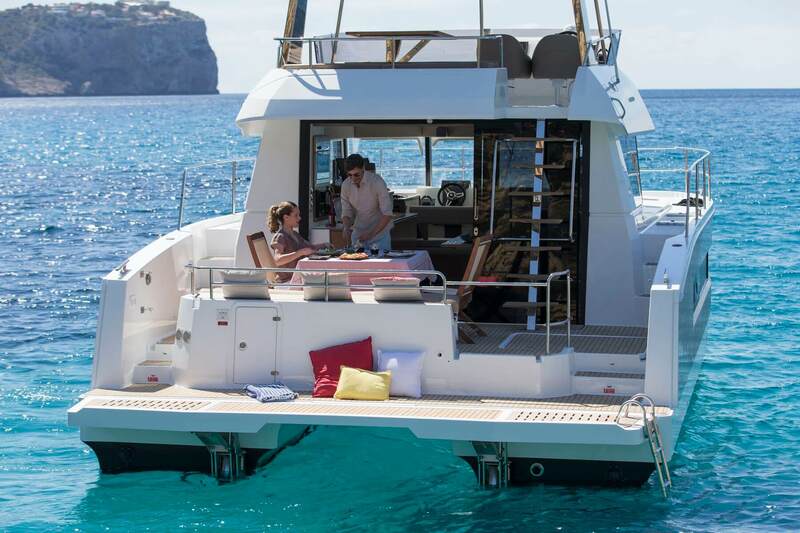 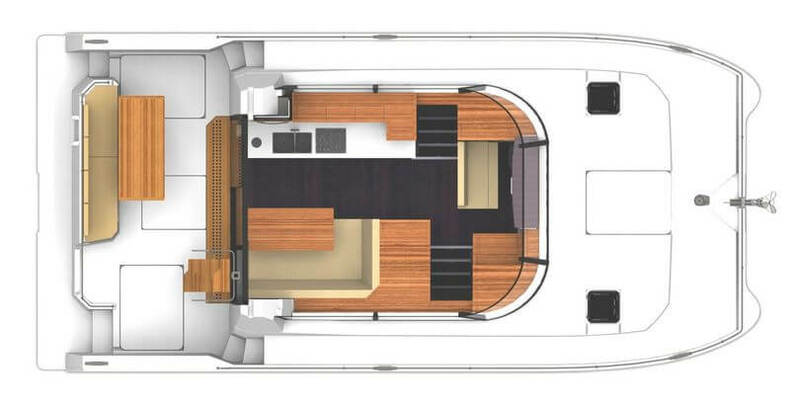 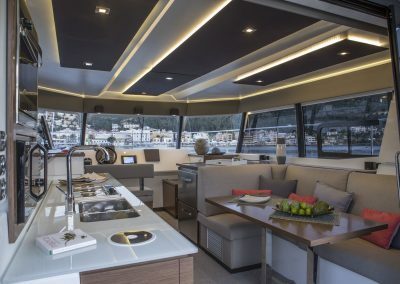 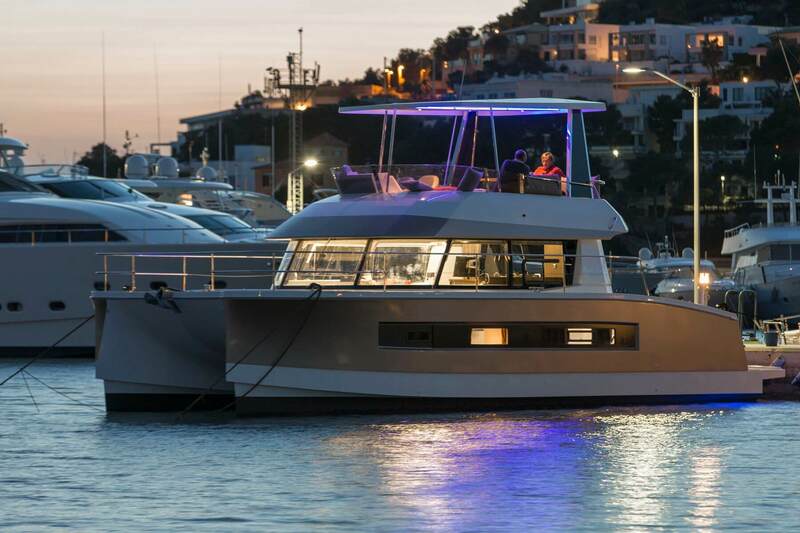 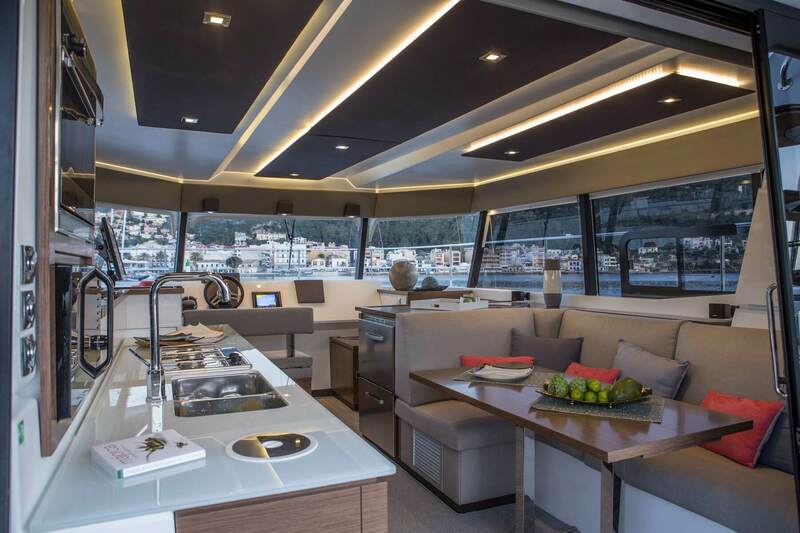 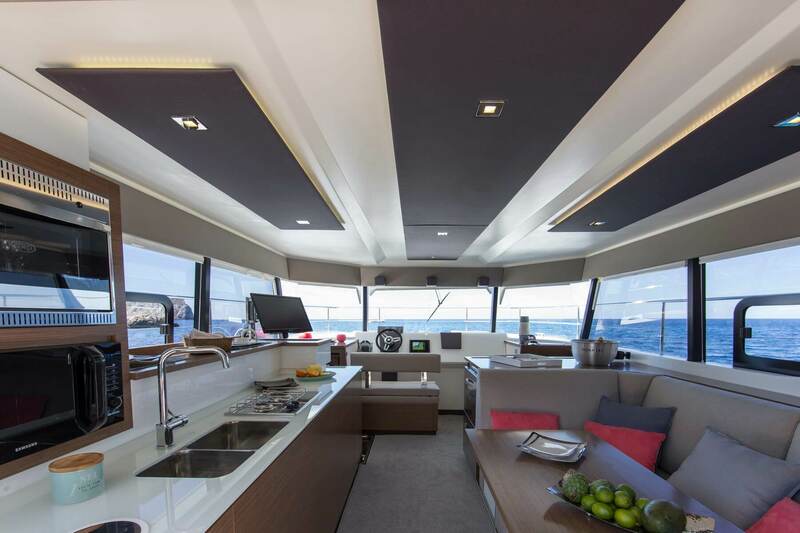 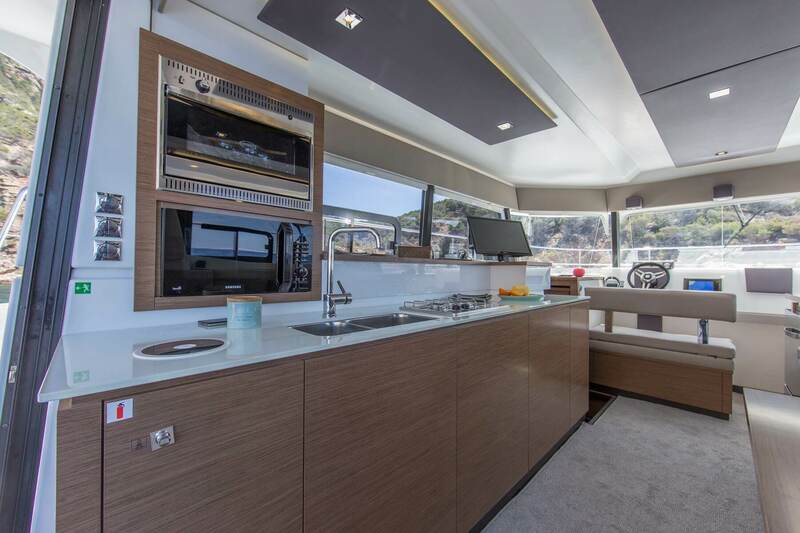 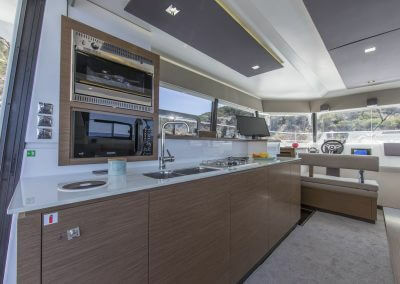 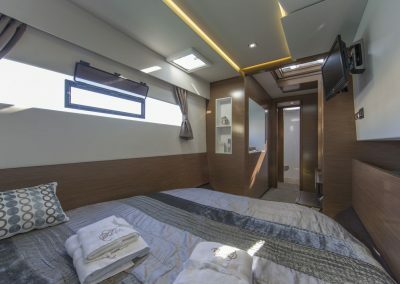 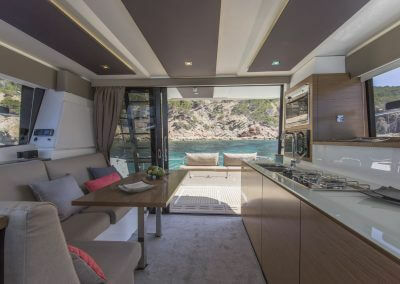 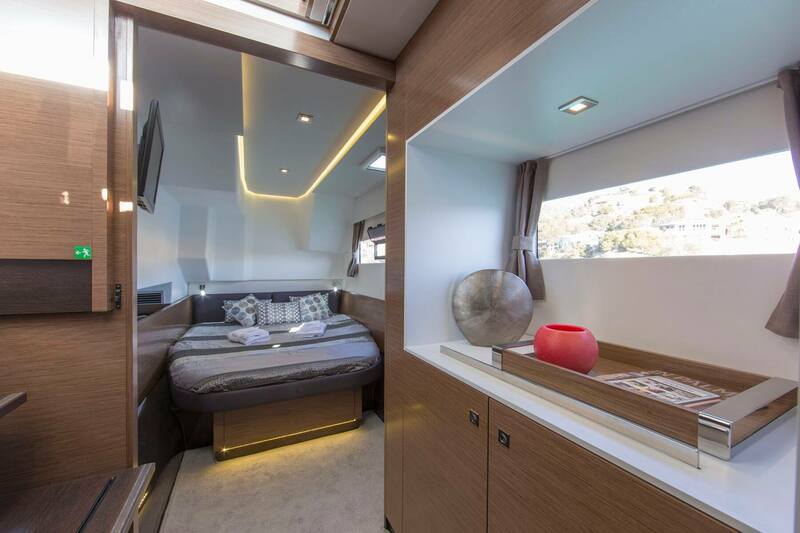 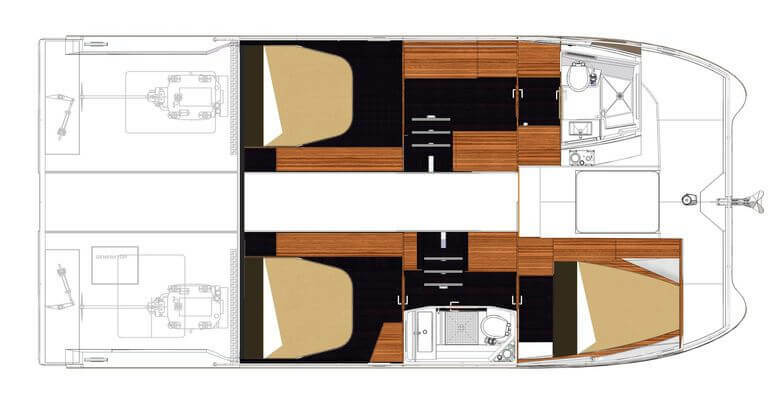 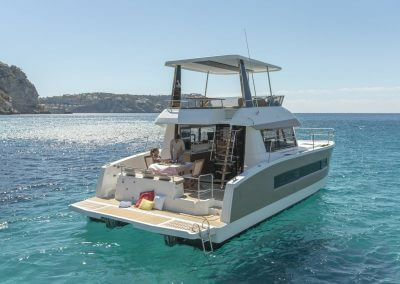 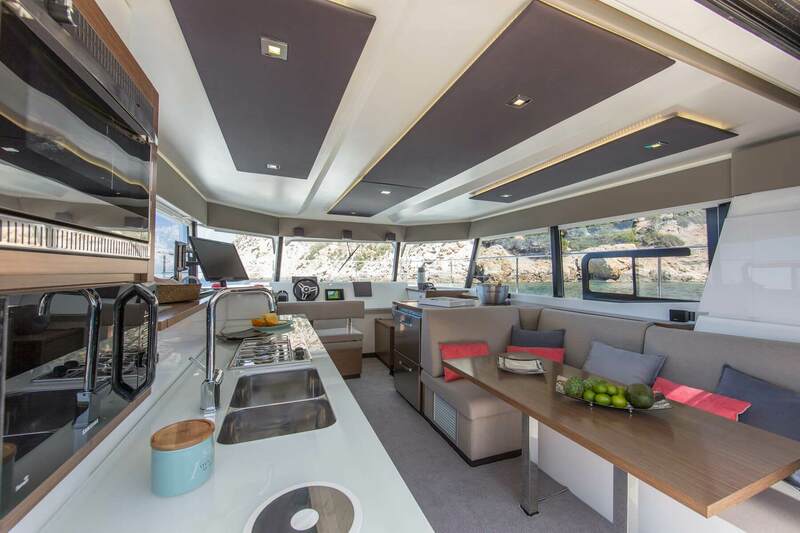 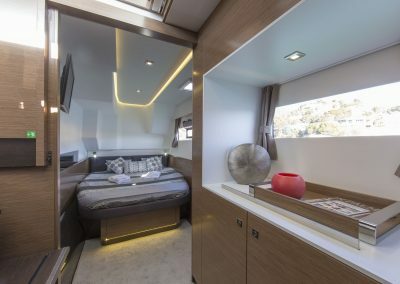 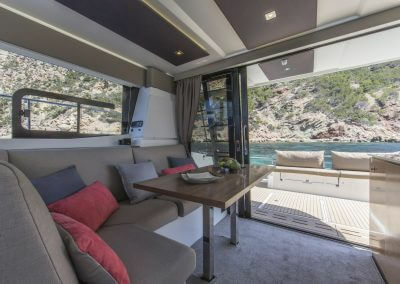 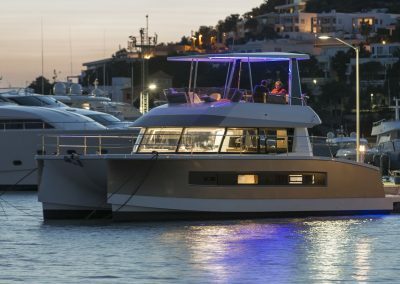 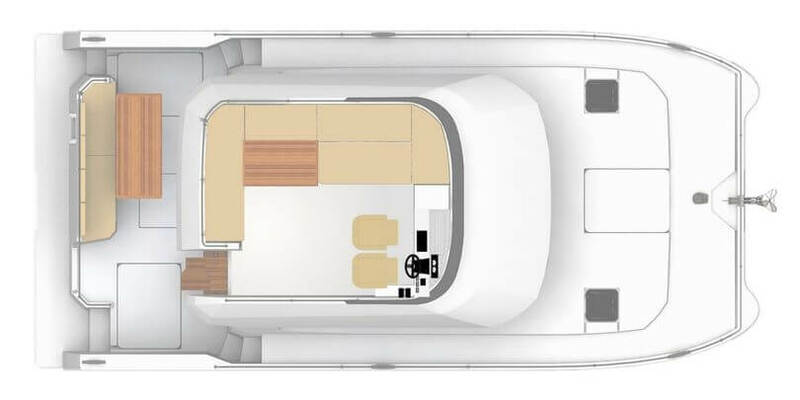 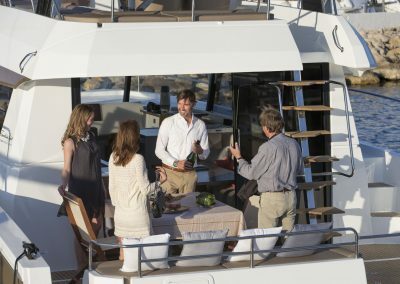 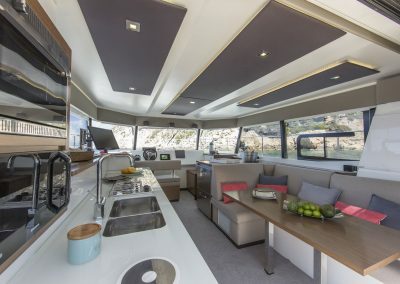 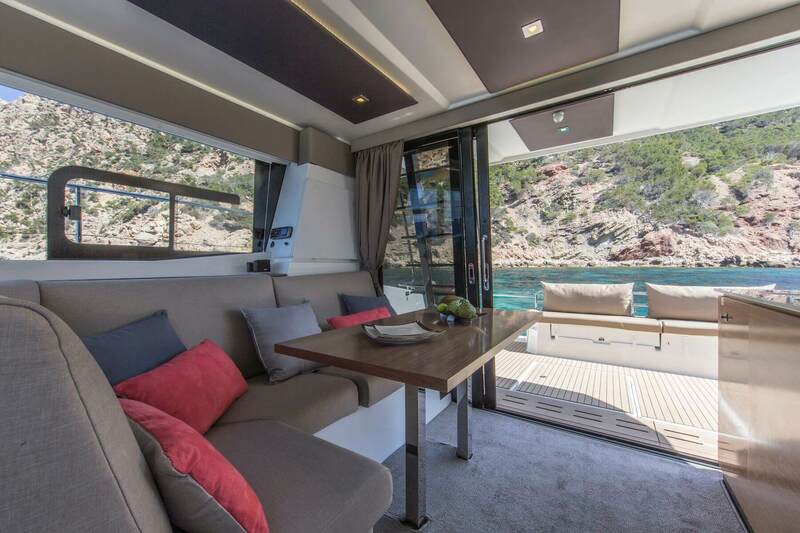 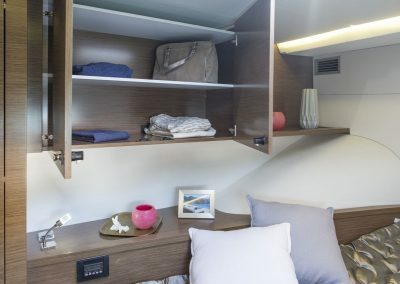 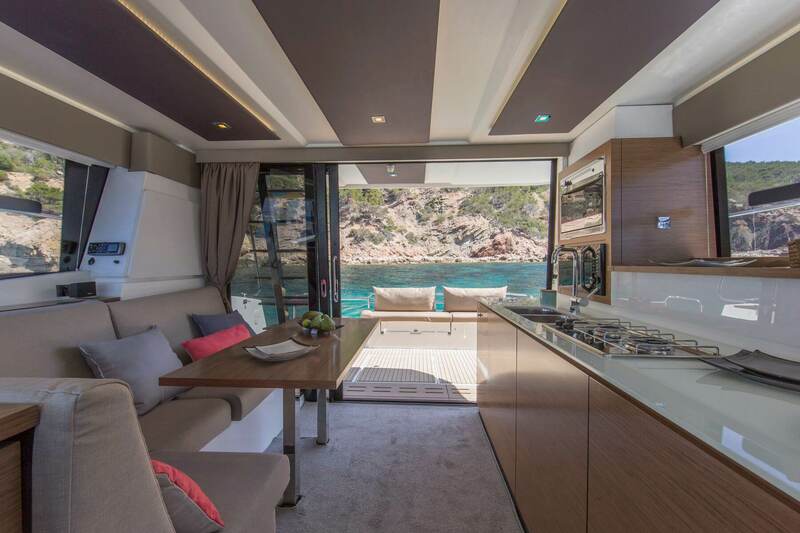 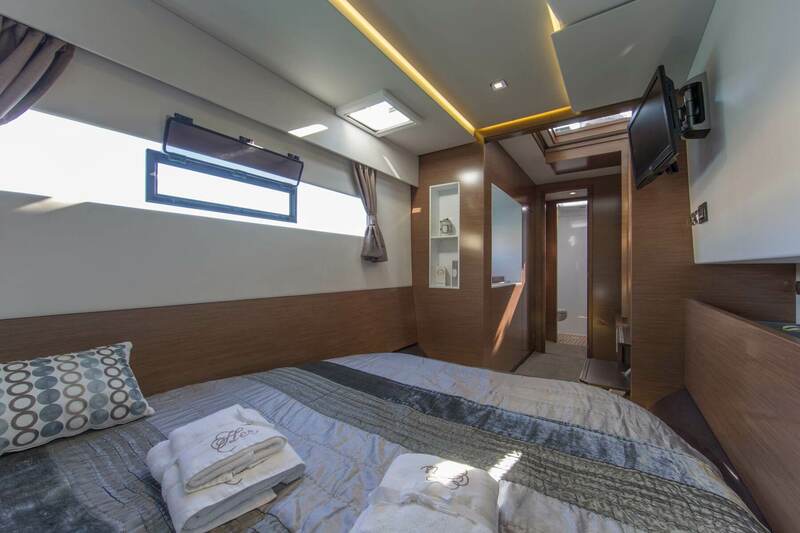 The MY37 is designed to optimise entertaining and relaxation, and its capacious 13.5m2 cockpit comfortably accommodates six guests at the dining table while still allowing easy circulation and access through the large sliding saloon doors. 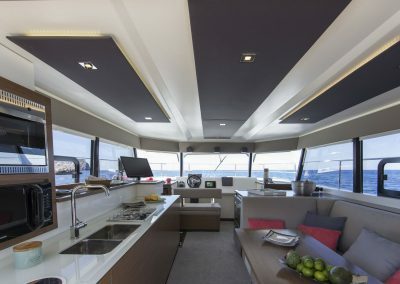 The cockpit also has space for an optional extra fridge, BBQ and hydraulic gangway. 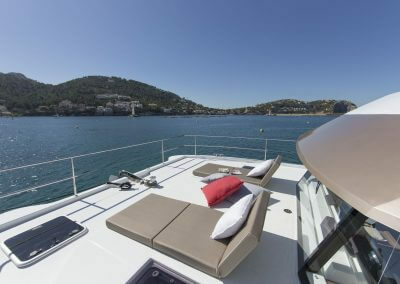 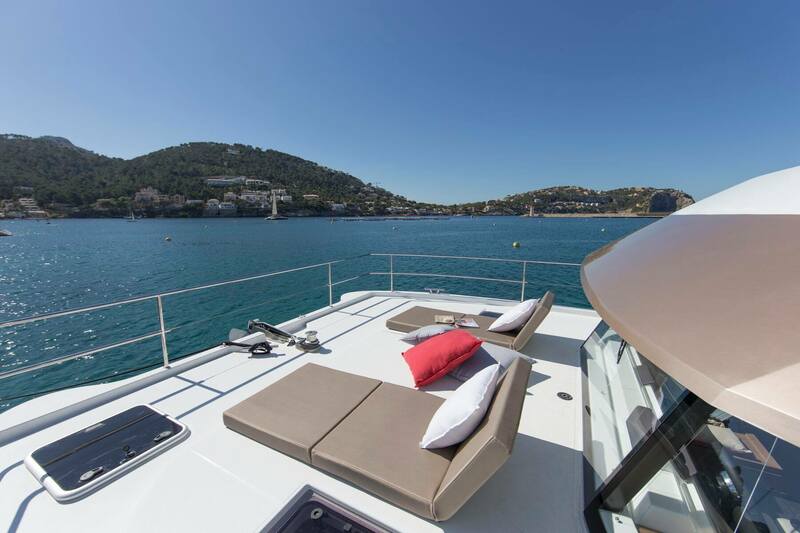 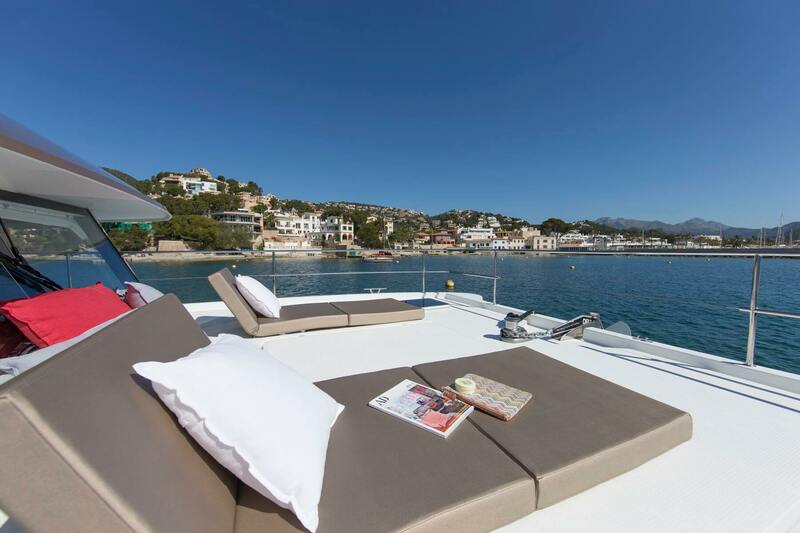 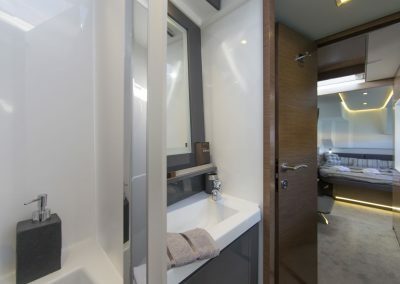 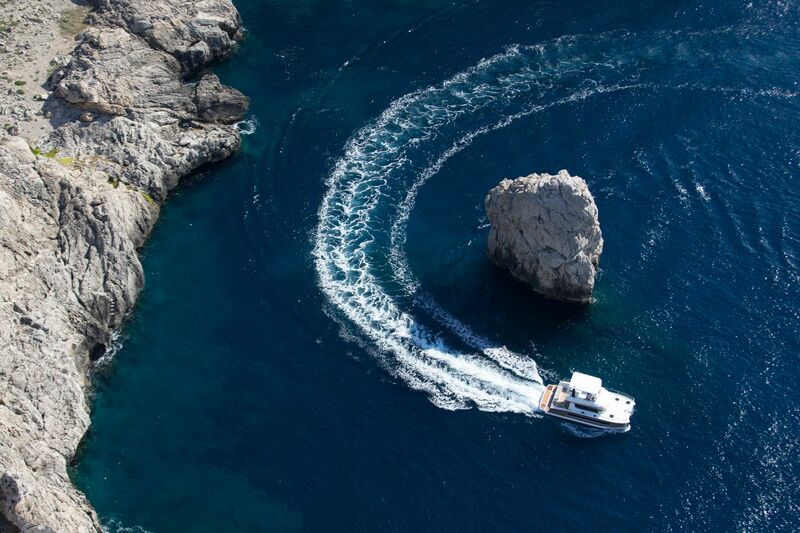 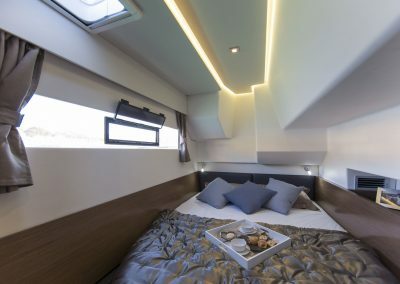 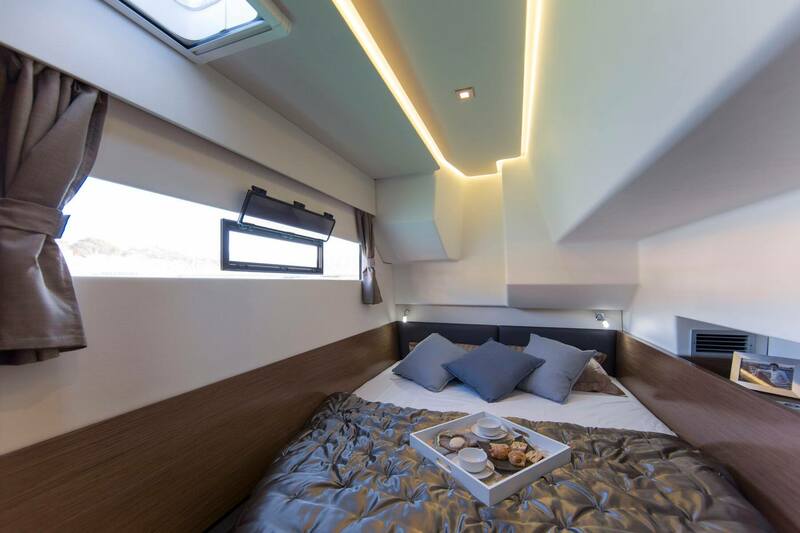 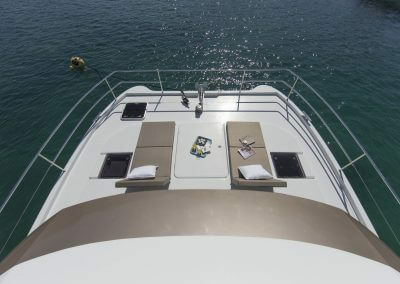 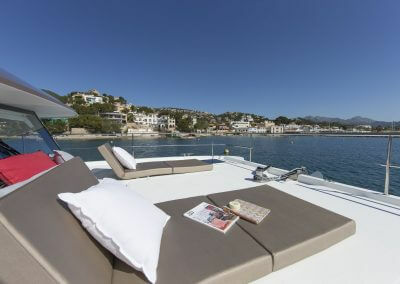 The generous 12m2 flybridge is a superb retreat for both guests and crew. 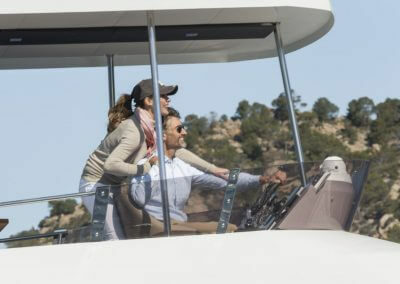 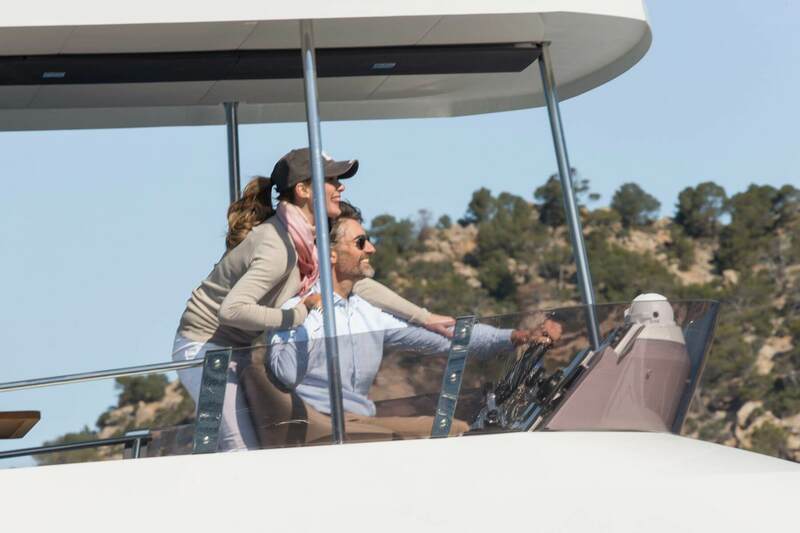 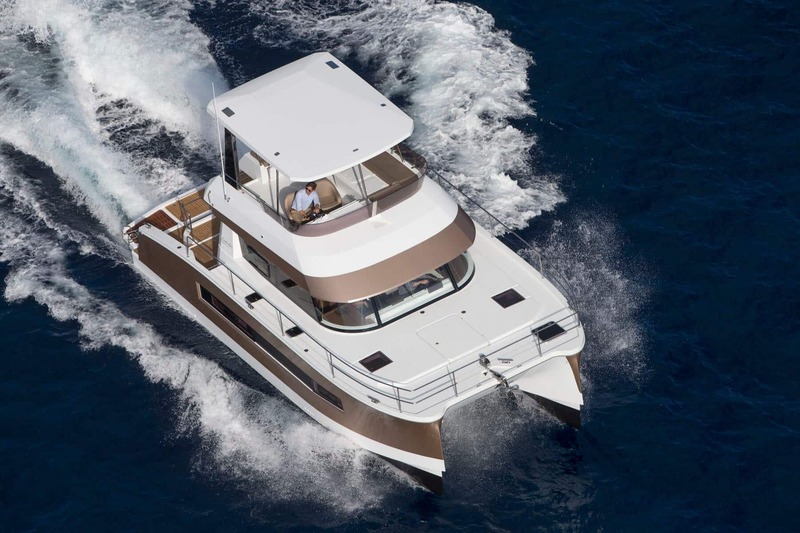 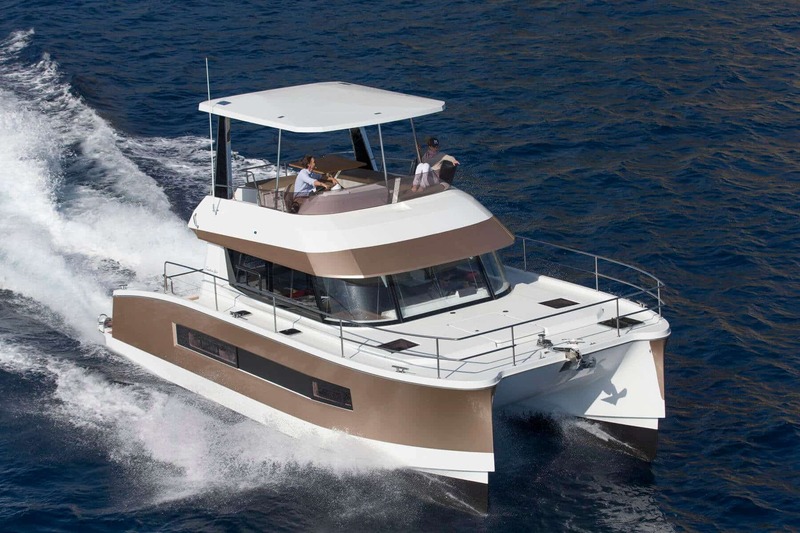 The helmstation affords panoramic views through its glare-resistant windshield and an option for a second helmseat so guests can share the cruising experience with the skipper. 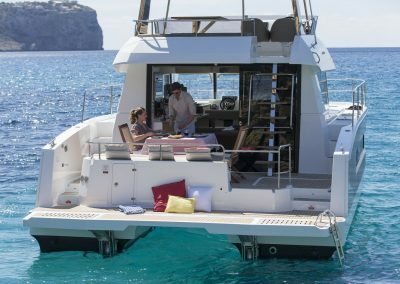 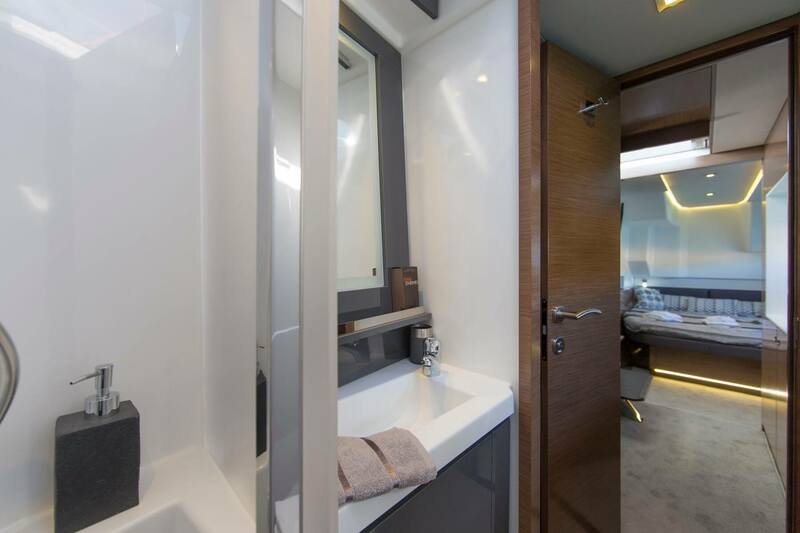 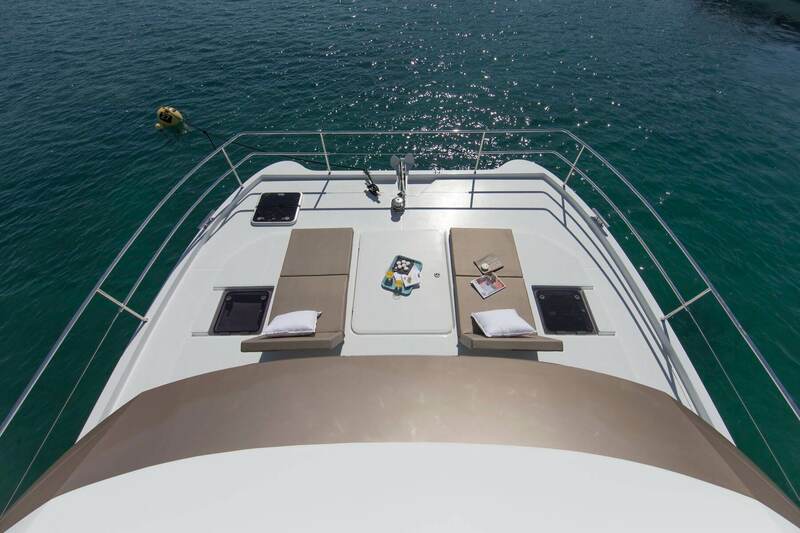 Other guests can relax and dine on this upper level with a table to seat six, and the vessel can also be customised with an additional fridge and luxurious reclining sunbed. 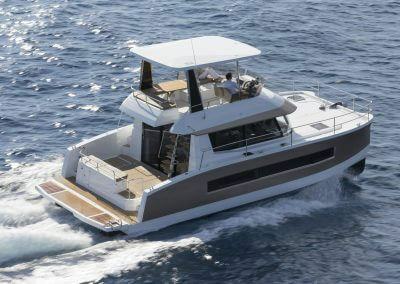 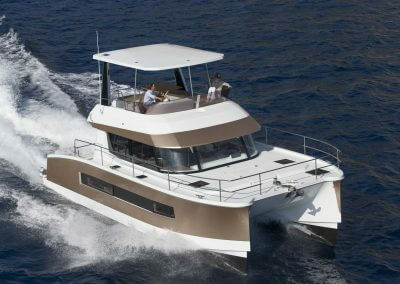 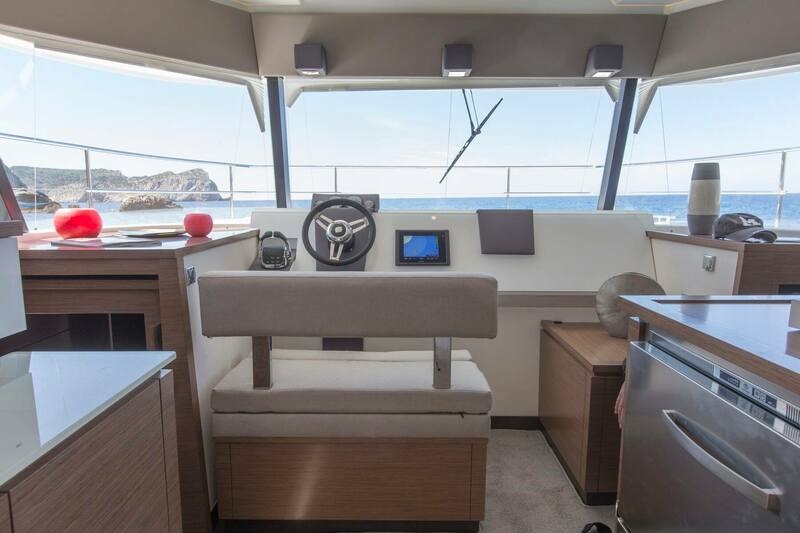 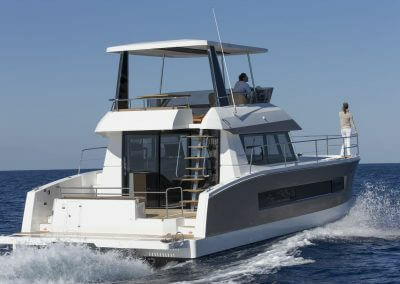 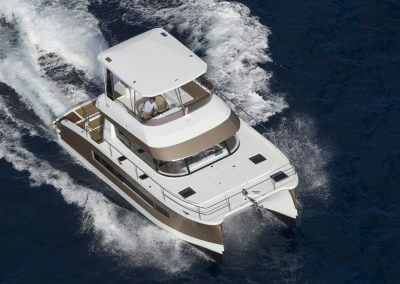 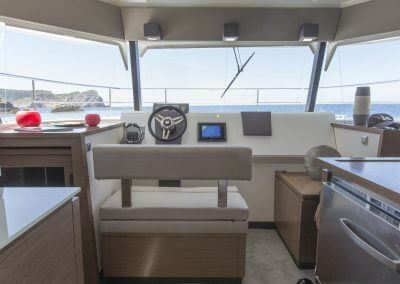 Both the cockpit and flybridge can be fitted with biminis to ensure protection and comfort from the natural elements.